Even though we’ve been working on this update to Learn Ulysses for the past 4 months, a few things still came down to the wire (for me, at least). And I have to say that wow, I am just so happy with how this course turned out! It never would have happened without the incredible team at The Sweet Setup — everyone worked together on this new course to make it something world-class. A huge thanks to Mike, Matthew, Josh, Jeff, Isaac, Chris, and Joanna! The whole reason The Sweet Setup exists is to help people find and use the very best apps. And so I love being able to put together these training courses for my “must-have” apps like Ulysses, et al. 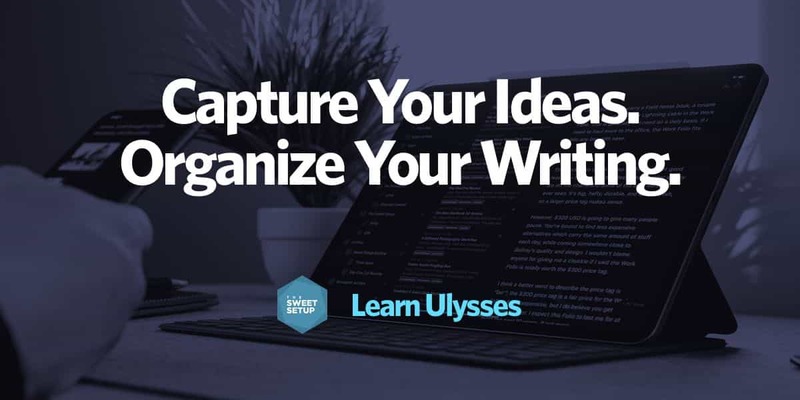 And if you are one of the 2,500 folks who bought the original version of Learn Ulysses before today’s update then we’ve got upgrade info for you right here.